Winter is the time for montages. Time outside can be difficult, so our memories are summarized in mental snapshots. Flick. Flick. Flick. We tick through the best parts, ignoring the snow that sneaked under our gloves and froze our wrists. Wet socks? Frozen nose and ears? No way! We made a snowman. We made snow angels. We saw mouse tracks on the snow and birds up in the trees! 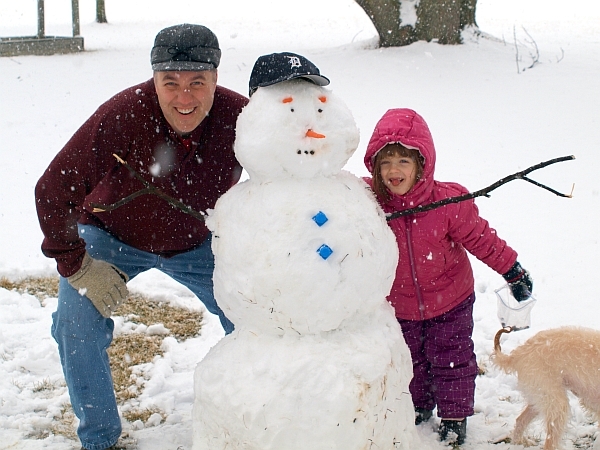 Here is our snow day montage. 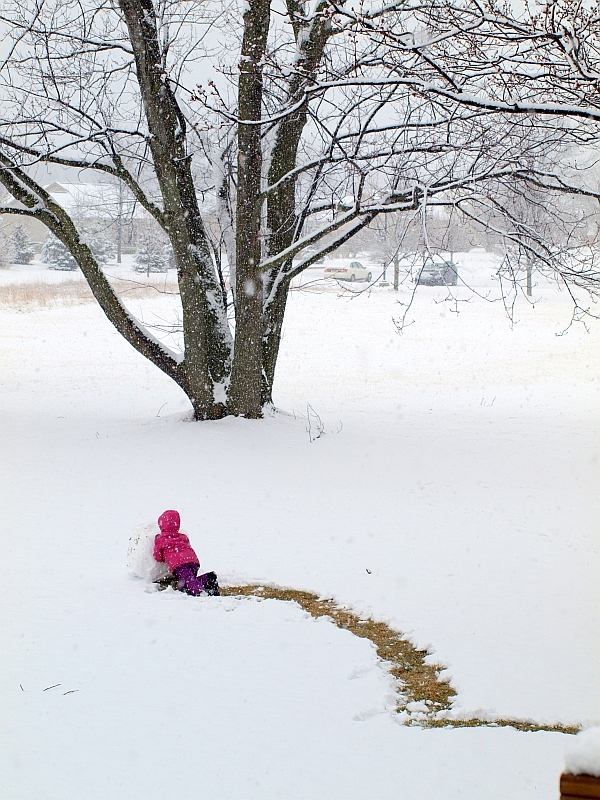 Okay, maybe it’s not technically a montage… It’s a collection of pics of Grace building her first snowman. 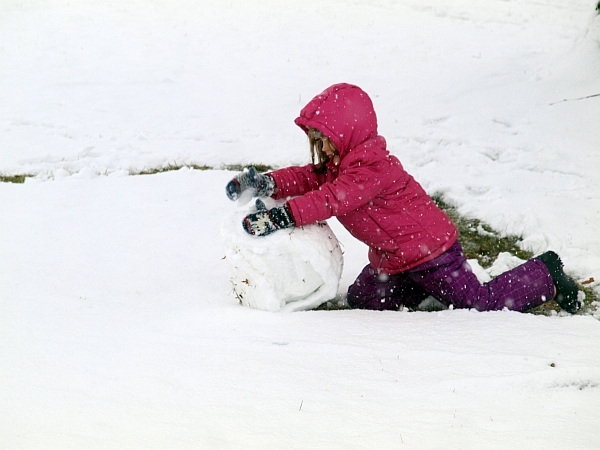 She’s been wanting to do this all year, but we simply haven’t had the snow. 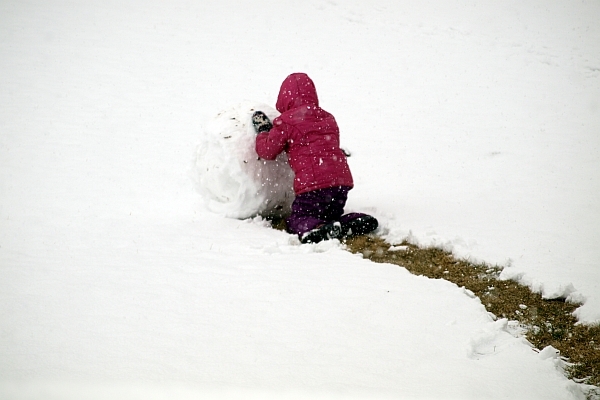 School has been called on account of rain twice, but this was the first real snow day, and Grace had a blast!